The wood in this Ben Buckley Kit was very nice hard balsa; sometimes it was difficult to determine if it was hardwood. The parts were nicely cut except for the four root ribs in the center section of the wing. It took many cut and try to get those ribs correct. About a day of cut and try. The right wing took about a day and a half to construct. The left wing with the corrected two root ribs took about forty five minutes to construct. Eighty five percent of the kit went together very nicely. The rest of the kit was a challenge and the landing gear was a real challenge. 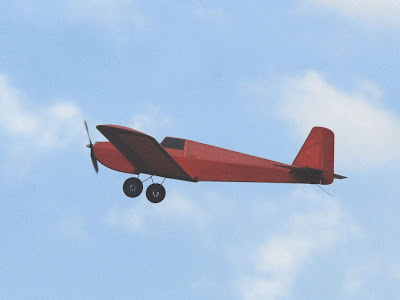 This model should make a very good trainer to learn how to fly R/C, especially take offs and landing. The model is constructed except for the installation of the radio control system. What a great looking aircraft,have just ordered a plan as kit is out of my reach,looking on you tube they fly very stable. Can't wait to get started please post more pics.